Sixteen-year-old Nisha lives a double life. When out with her friends, she's a regular Norwegian teenager. At home with her family, she is the perfect Pakistani daughter. When her father catches her alone with her boyfriend, Nisha's two worlds brutally collide. 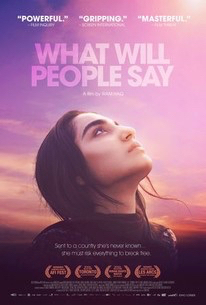 To set an example and escape the judgment of their peers, Nisha's parents send her to live with her extended family in a small town in Pakistan. There, Nisha must adapt to a rigid culture that denies her the freedoms she once enjoyed.